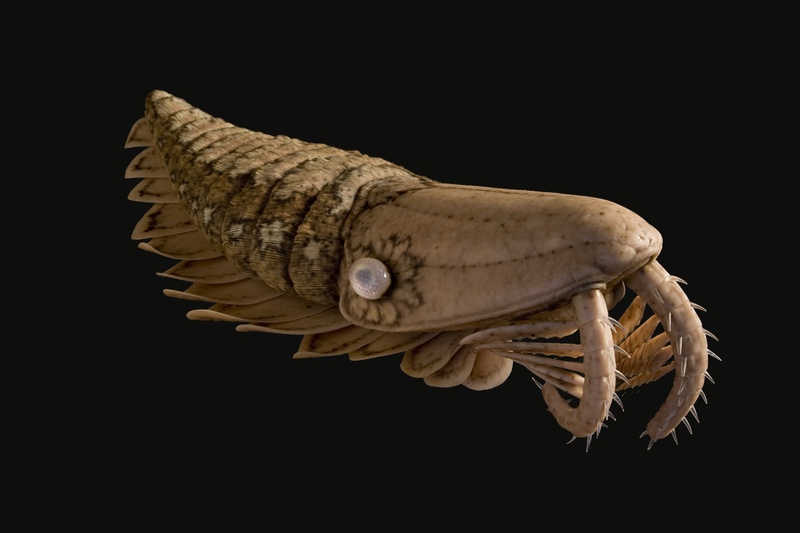 Anomalocaris lived 500 million years ago (Cambrian era). It was about a metre long. Like some weird cross between a nautilus, prawn, octopus and fever dream. It was a predator also. Makes your toes curl up a bit. Anomaly -> anomalocaris. I like to imagine it somehow surviving and discovering someday while swimming, and hopefully surviving the subsequent heart attack, that like the coelacanth, it’ll be found. But the coelacanth was only considered extinct for 35 million years. 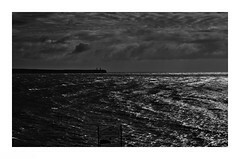 Instead I think of a recent Tramore Bay during which I encountered more marine life than I’ve ever seen in a single swim. The water was rich with the underwater storm of the thread and tadpole shapes of miniature organisms. This in turn were supplying the multiple shoals, two of them huge, of sprats I swam through, with food. Given the sprats and the line anglers, there must have been mackerel around, but I never seem to see them in Tramore, (only in Sandycove), and maybe bass also. There were the Moon jellies as usual and some Compass jellies have started to appear also. The shape I saw and chased a few weeks ago, turned out to be another jelly, that was only around for a week or so, mostly only 4 to 8 cms long (yesterday’s seemed like 18 to 20 cm), like a hollow transparent cucumber, with 4 lines of light dots down it sides, and white at one end. Some of them were tiny, so it’s obviously a bloom happening. It didn’t sting as I handled one. There was another jelly, that looked slightly like the Moon jelly, but was flatter, with what seemed like scalloped sections around the edge of the bell, and short tentacles. This one I didn’t handle (other than touching the top of the bell), the tentacles were short but prominent. Neither are on the Jelly ID charts. And in fact I’ve seen a third species I don’t recognise since. I think need research on the subject. Emails to Ecojel have gone completely unanswered. In the reefs and sandy bottom beneath Doneraile Head were the first crabs I’d seen in Tramore this year, (since that’s the only place you can see the bottom) but no sign of the dogfish until swimming in Sandycove yesterday, which also was teeming with pink crabs on the first corner rocks. Why would you swim in cold water? Swimming for beginning open water swimmers and triathletes is like planting a tree. Twenty common beginner triathlete questions answered.